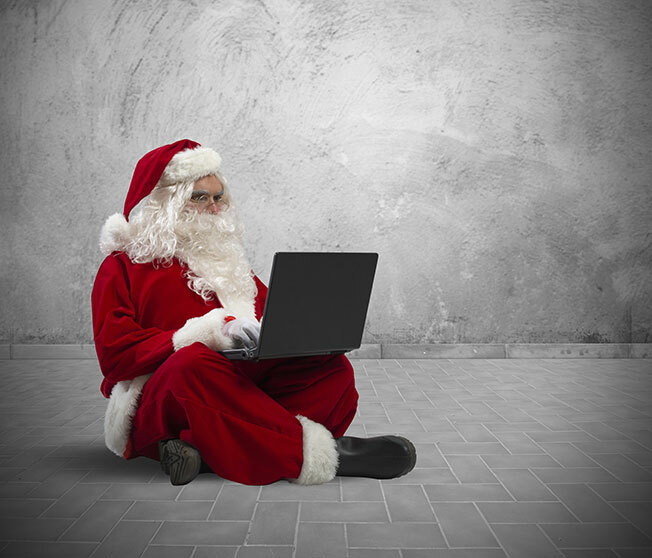 The holiday season is traditionally the time to knuckle down and produce your best marketing strategies. Christmas is a huge period for sales and growth for most businesses, and a strong performance during the mad rush for end-of-year deals can turn a good year into a great one. Competition is fierce, but at Christmas time customers spend more on gifts, decorations, and even travel costs to see their relatives. In fact, the Australian Retailers Association says that some retailers get up to 60 percent of their total sales during Christmas. If you’re a business with a consumer sales focus, it’s worth developing a winning email marketing strategy to drive the most growth you can during this lucrative period. Here are a few things you can do to help you achieve just that. At Christmas time, everyone wants a slice of the pie (mince or otherwise). You won’t be the only company with a killer campaign, so you’d better make sure that your messages are to-the-point and don’t get lost in the crowd. When you’re composing your messages, you’re going to need the absolute best subject line you can create. It won’t matter if you have an amazing sale, a brilliant ad, or precisely what the customer wants if they never open the message. At a time when everyone – online and offline – are vying for consumer attention, you need to be eye-catching, fresh, and unique. Don’t put out more claims than you can back up, but strive to capture the essence of your campaign in as few words as possible. Be actionable and discuss specifics – a common strategy is to send out gift ideas for certain family members so that you can tailor your messages more specifically. Anyone looking for a gift for mum is going to be a lot more likely to click through to your website if you’ve done the looking for them. Some of the most successful Christmas campaigns (like these pop up bookshelves from Bookworld, or this eBay advertisement) take advantage of the emotion we already feel for the holiday. People are thrifty, and hunting for the best bargains, but they also know that the holiday season is a time for family, and for intimacy. When people see your campaign, they shouldn’t be thinking of you. They’ll be thinking of their family and friends, and how your product can help them set up the perfect Christmas dinner, or make the perfect gift for their spouse. Tailoring your campaign to play into the spirit of the season helps people connect with your brand. People form attachments with good purchasing decisions, and with an email campaign that speaks to them and offers good advice, you’ll turn casual gift-shoppers into customers for life. This ties into the point above, but you need to make your ad campaign reflect you. Not just your message, but your customers and your product. There’s no sense conjuring up boring old snowy Christmas imagery when most of your target audience is going to be spending the day at the beach, or by the pool. Take a uniquely Aussie approach to the season, or you risk alienating the people you’re trying to approach. Likewise, you’ll need to think about your core demographic. Christmas is increasingly celebrated as a secular holiday, and for some groups “Happy Holidays!” comes off a lot more earnestly than “Merry Christmas!”. Conversely, some people find the former to be condescending. There’s no ‘correct’ way to go, but you’re going to have to think about your audience very carefully, develop a plan of action, and stick to it. A large email campaign means a lot of emails. In order to drive up hype, you’re going to need to put out a larger volume of work into reminding straggling shoppers. Most Christmas campaigns start early to catch the organised gift buyers. In order to get the whole rush, you’re going to have to keep up your strategy all the way through December, and possibly later if you plan to do an end-of-year clearance after the holiday period. At the same time, it’s vitally important not to drive so much content that users start to think of it as spam. Holiday fatigue is definitely real, and flooding your audience’s inbox with deals, great as they may be, is going to grow resentment towards your brand. On the plus side, if you can strike a good balance between content delivery and sales pitches, you’ll be more likely to generate additional sales. Make it easy for shoppers to purchase while they’re out and about. People are likely to be browsing their emails on mobile, idly as they commute to work, or at lunch. Since they’re already out and about, make it easy for them. Your content should be easily digestible (once again, the importance of your headline is paramount here), mobile-friendly, and shouldn’t be too text-heavy. If you’re a physical store, you can even think of ways to take advantage of the way that people browse the medium. If you have stores near the business district of your city, why not include exclusive sales or coupon codes, in your campaign? This will drive people into your physical stores while you’re front of mind. If you have an online store, this works equally well as a discount code, or an exclusive link, to your online store. Thinking about your strategy not just in terms of the rest of your marketing campaign, but tailoring it specifically to your distribution method, is an integral part to any email campaign. You’re holding a powerful tool, and the ability to engage with people wherever they are. Use it to your advantage. The Christmas period is a joyful, hectic, stressful, beautiful time for customers and businesses alike. Good luck, work hard, and Happy Holidays!